Do not use any guns with grip safeties such as Colt .45 style pistols or Para Ordnance frames. Hogue’s HandALL® series grips are a simple and inexpensive way to tremendously improve shooting comfort, accuracy and control. 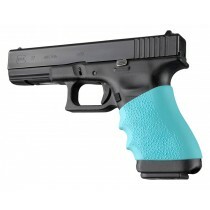 HandALL grip sleeves are scientifically designed and patented with a unique shape that hugs the contours of your firearm. 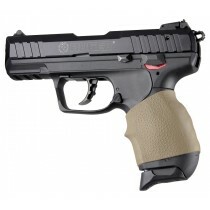 This exclusive form provides a tight fit with no loose spots, resulting in the most secure fit possible. 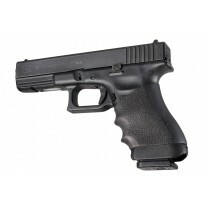 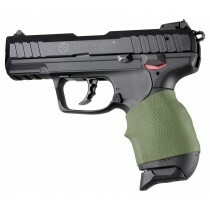 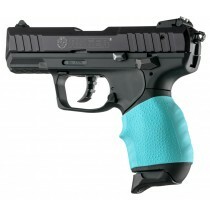 HandALLs are molded from soft, yet durable, modern rubber and are designed to fit snugly on an array of handguns.